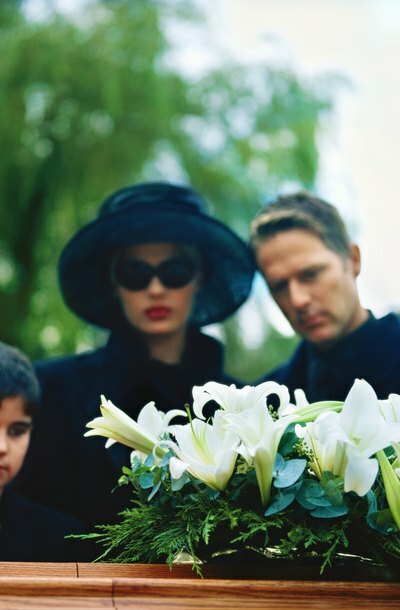 When someone dies without leaving a will, the law says that person has died intestate. When someone dies intestate, there is neither a designated executor to carry out the instructions of a will nor an appointed trustee to administer assets from a trust. In these cases, the state substitutes itself for an executor, or trustee, until it can determine who should administer the estate and and make distributions from the estate to any rightful heirs. If your mother dies intestate, the court may appoint your mother's husband, child or sibling as a representative to take the place of an executor or trustee. Most states favor naming close relatives to this role, whenever possible. If there is a dispute between you and one or more relatives about who should be named as a court-appointed representative, the court will decide who will handle your mother's final affairs. Before assets from your mother's estate can be distributed to her heirs, the court-appointed representative must settle any outstanding debts she had, deducted from the assets of her estate. These debts include any funeral expenses. The court-appointed representative must also file your mother's final federal and state income tax returns. If your mother owes income taxes, the amount owed must be deducted from the estate. If she is due a refund, the representative must file a Statement of Person Claiming Refund Due a Deceased Taxpayer, Form 1310, with the Internal Revenue Service. After settling your mother's debts and tax obligations, the court-appointed representative distributes any remaining assets to her rightful heirs. Each state has its own rules for determining who is a rightful heir and the percentage of the estate to which each heir is entitled. These rules are known as the laws of succession. In most states, the spouse is entitled to the largest share of a person's estate who dies intestate, often one-half or one-third. Any living children would be second in line with each child receiving an equal share. If your mother's husband died before her, you and your siblings would then divide the entire estate. CNN Money: Ultimate Guide to Retirement -- What if I Die Without a Will? CNN Money: Ultimate Guide to Retirement -- What Is Probate?